Wonderful walkable Highlands location close to Douglass Loop shops, restaurants and farmer's market! Natural woodwork, Hardwood floors, updated Baths, large closets, fenced yard and newer 2 car garage. 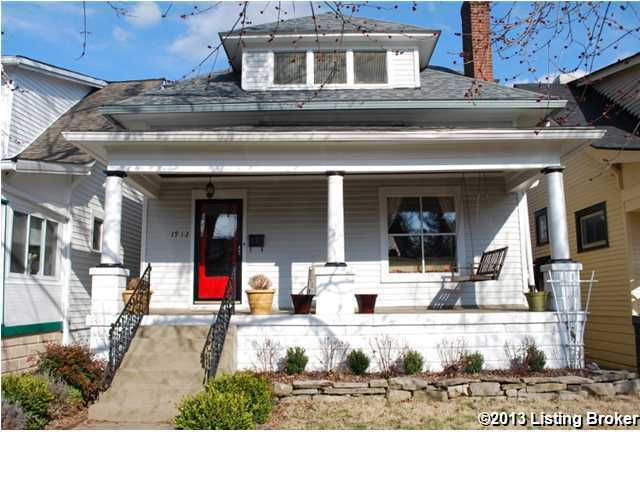 Inviting front porch and large rear Deck for entertaining. New Roof 2012. Kitchen appliances to remain. Average LG&E $127. 1912 Woodbourne Ave, Louisville KY 40205 is a Home, with 3 bedrooms which is recently sold, it has 1,596 sqft, 30 X 158 sized lot, and 2 Car Garage parking. A comparable Condo, has 3 bedrooms and 2.5 baths, it was built in and is located at 1915 Wrocklage Ave #104 Louisville KY 40205 and for sale by its owner at $ 210,000. This home is located in the city of Louisville , in zip code 40205, this Jefferson County Condo, it is in the BELKNAP Subdivision, and Highlands are nearby neighborhoods.